"#46,-Glen Iris, Upper Falls and Bridge"
A pleasant summer scene has been captured by the photographer standing on the Council Grounds bluff. 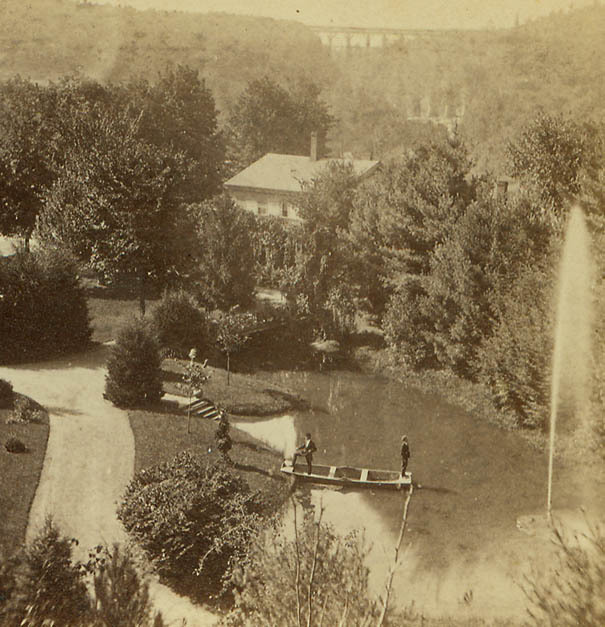 Two visitors to the Glen Iris Grounds stand on a small boat in the manmade pond. As the larger photo below shows, the man on the right is studying the beautiful fountain that towers over him. 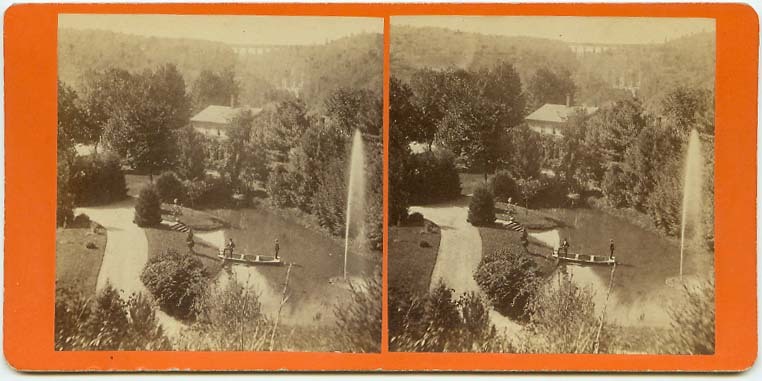 According to Mr. Besancon's back label, this view and other cards were available by mail for 25 cents!